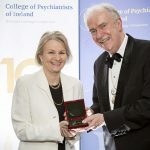 On the occasion of the College 10th Anniversary, Council approved the awarding of Honorary Fellowships and Fellowships. 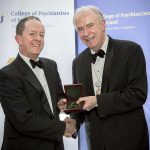 The Fellowship Ceremony took place at the Annual Spring Conference, Thursday, 4th April 2019. 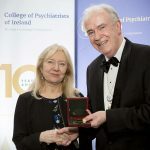 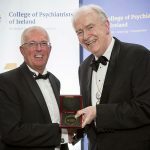 “This time of celebration of a decade of evolution and success for the College of Psychiatrists of Ireland must prompt planning for the future built on the past. 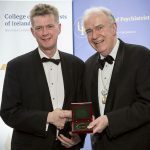 As we begin this process it is important to remember the people who had the vision to found the College and those who nurtured its growth through difficult times. 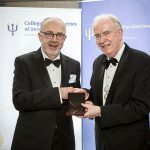 Thus the College Council decided to award Fellowships and Honorary Fellowships to the key people whose positive actions ensured that the College was initiated, survived and grew as a factor in Irish life”. 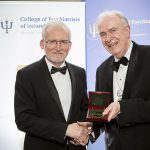 Fellowships are awarded to give special recognition with distinction to members of the College honouring their contribution to the progress, achievement and success of the College in particular. 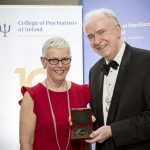 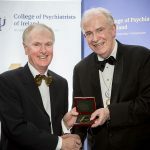 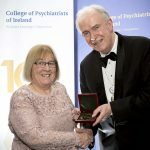 Honorary Fellowships are awarded to those who are not members of the College, but who the College wish to recognise for their contribution to the College and psychiatry in Ireland. 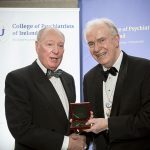 The College is pleased to award its first Honorary Fellowship, posthumously, to Dr Mark Hartman who had the vision to establish the Irish Journal of Psychological Medicine in 1982. 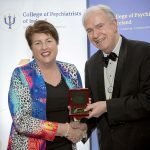 An Honorary Fellowship is also awarded to Mrs Martina Hartman, wife of Dr Mark Hartman who fulfilled Mark’s wish to pass the journal to the ownership of the College pf Psychiatrists. 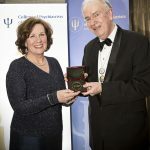 The College is therefore eternally grateful to Martina for the Journal becoming the official journal of the College.